While most people would call writer/director Richard Linklater’s new independent movie “Boyhood” one of the film industry’s most ambitious projects, the Austin-based, two-time Oscar-nominated filmmaker describes it a bit differently. Linklater, best known for films such as “Dazed and Confused,” “School of Rock” and the Before trilogy (“Before Sunrise,” “Before Sunset” and “Before Midnight”), shot “Boyhood” over the span of 12 years with the same cast. The approach allows audiences to witness the film’s lead character Mason Jr. (Ellar Coltrane) grow up right before their eyes. The film also stars Ethan Hawke and Patricia Arquette as Mason’s divorced parents who try their best to create a stable upbringing for Mason and his sister Samantha (Lorelei Linklater), despite life’s mad curveballs. During an interview with Linklater and Coltrane, we talked about what it was like growing up in front of the camera over the last 12 years and how the film evolves when the maturation process kicks in during Ellar’s teenage years. 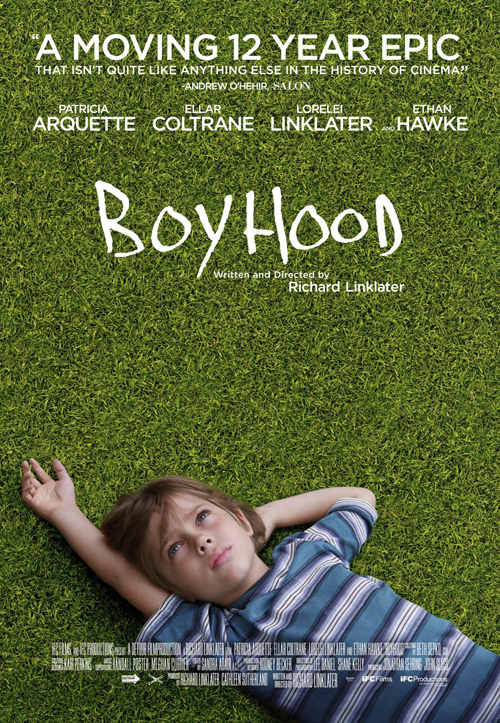 Richard, “Boyhood” is sort of in the same vein as your Before trilogy except that you didn’t make three films out of this story. Did you approach the projects the same way? Richard Linklater: You know, they are two very long, time-based projects, but they’re very different. The Before trilogy had some gaps in time. “Boyhood” was a constant thing. It demanded to be told this way and required constant attention. With the Before films, I didn’t have to think about the next one for seven or eight years. Ellar, you were only six years old when you started making this film. When did you realize how ambitious Richard’s idea actually was? Ellar Coltrane: (Laughs) There definitely was a gradual realization about just how massive it was and how important of a part of my life it was. I’m really grateful that I was given the chance to work on a piece of art like that. Richard, the script was completed prior to shooting, but it seems like you were open to adding to it. I mean, you include a scene referencing Barack Obama’s 2008 presidential run, which I’m sure you didn’t know would happen six years prior. RL: Yeah, one year we were shooting in the fall during the Obama/McCain race and I thought the moment was worthy of adding in. Even if it didn’t end up being a huge cultural moment, it was real. We were just trying to be honest about that moment. The film wasn’t trying to reflect on too much pop culture. I wanted to reflect on what it’s like as a kid growing up and having everything coming at you—from the culture to the way you pick up on your parents’ politics. Everything is sort of in your face. You know, most directors would’ve simply cast three or four actors to play Mason at different ages. RL: I think I just have more patience. I thought there would be more beauty this way. I mean, it’s completely understandable to do it the other way. You cast an actor as a kid and then you cut to a new actor as an adult. It only makes sense. Yeah, but then sometimes they don’t even look alike. RL: They often don’t! I mean, I had to watch “Goodfellas” a few times to believe Henry and Tommy as kids grow up to be Ray Liotta and Joe Pesci since Pesci is older than Liotta in real life. But it doesn’t bother me. It’s all about the storytelling. But, yeah, “Boyhood” was just a whole different methodology. I was just trying to get in touch with that maturation process and make it feel very real and organic. I really got a sense of that. It feels like it becomes more and more Mason’s story as the film moves forward year by year. RL: Yeah, as the film goes on, it becomes less about Samantha and the parents. When you’re a kid, you’re just being dragged along by the family. You don’t have your own motor. I knew as they years went by, it would be his story and everyone else would become supporting characters. The music you chose is such an important aspect of the film. 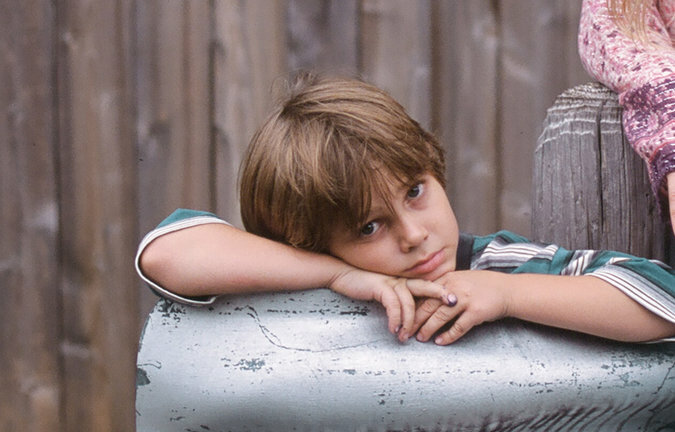 Why did you decide to set “Boyhood” to a soundtrack rather than, say, a traditional score? RL: I had to work through so many ideas to get this film where I wanted it to be. You couldn’t really impose anything on this film, so a score really didn’t work. I wanted songs that would evoke that period and make them from the characters’ point of view. Ellar, watching the finished product for the first time, did you recognize all the songs Richard uses? I mean, you were only six years old when Coldplay’s “Yellow” came out, which is how the film opens. Something that really struck me was how you capture how easily people come in and out of each other’s lives. One day they’re there, and the next day they’re gone. RL: Yeah, I mean sometimes people move and you never see them again. I wanted this film to feel like a remembrance of the present. You mean to keep in touch, but you never really do. Do you think that’s how things are going to be for you in real life, Ellar? I mean, people move on. Are you they type of person who signs friends’ yearbooks at the end of the year with things like “Keep in touch” and other phrases like that? RL: Ellar is not the guy to ask about that. EC: (Laughs) Yeah, my life has been very bizarre. Yeah, that definitely is the case. There are people who you spend all this time with and then suddenly you never see them again. It’s just how things are. It’s very different for me because I’ve lived in Austin my whole life and everyone I know lives here. Even if someone leaves my life in a direct sense, they’re still around. Did you ever think as another summer rolled around, you didn’t want to work on the film anymore? EC: I don’t remember ever not wanting to do it. As I got older, [Richard] made me more of a collaborator on the process. I just became more excited and less passive. I mean, when you’re young, even if you think something is cool, you really don’t know how to engage. RL: Yeah, a film production is pretty overwhelming, especially for a kid. As you educate yourself and know what everyone else is doing, Ellar became more comfortable and a bigger part of it. How does it feel watching yourself grow up on screen like that? It must be surreal. EC: (Laughs) It’s unspeakably surreal. RL: Yeah, not a lot of people have experienced this. People have been in documentaries like this, but not in [a feature film]. EC: Yeah, how does one witness one’s self aging? I get to do it to a certain extent. RL: Ethan and Patricia have their own version of aging in the film. But you and Loreli have a full-on, growing-up, maturity thing that’s unique. Ellar, do you see yourself in Mason. Is that you? Are you acting? EC: It’s very much both. It goes back and forth a lot, especially as the character gets older. I’m more conscious and can craft my ideas. That’s the weird thing. There are moments that are very much me and moments that aren’t so much. RL: Just like any actor, you’re creating a parallel character and finding your way emotionally into a character that is created that isn’t you. That’s what we wanted to do every year. Any good actor gives all of themselves to a role. RL: (Laughs) I don’t know about that. I was sort of on this grid for years 1-12 for this one – like first through 12th grade. I’m not sure what the next 12 years would look like. Would you consider revisiting the Before series and making a fourth film somewhere down the line? RL: You know, it would be cool to do something really conceptual and take 30 years off and then come back and do a fourth one. That just might be my fate.